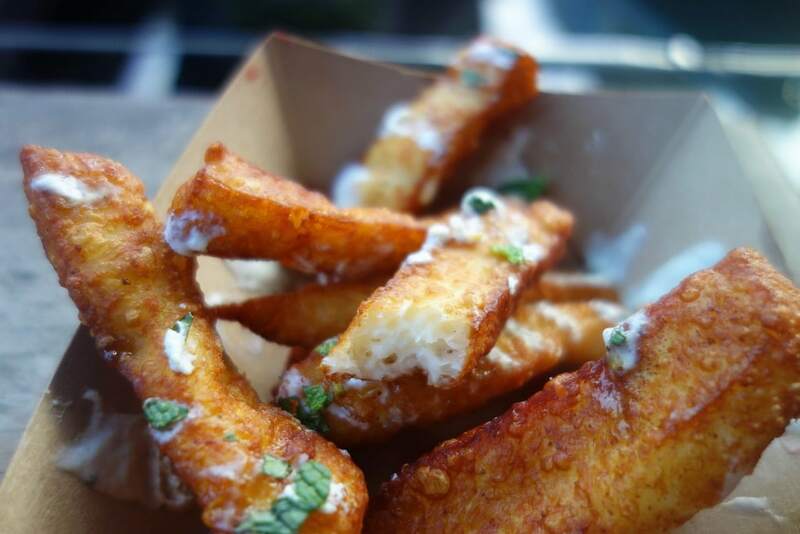 Cheese and chips is easily one of the best, quickest and most comforting meals you can have. Well, what if instead of saying do you fancy some cheese and chips I said chips MADE out of cheese. Not convinced? Loving the idea? Thinking how the hell is that possible? 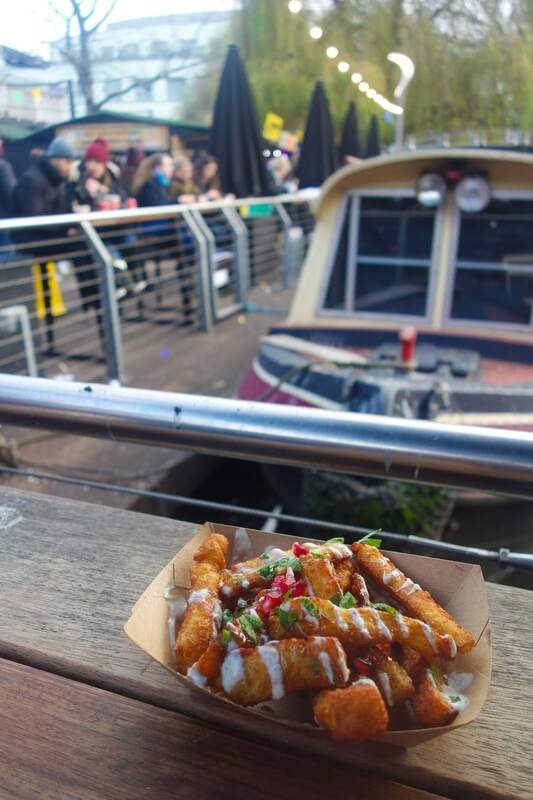 Well, head to Oli Baba’s in Camden Market for some halloumi fries and find out for yourself. 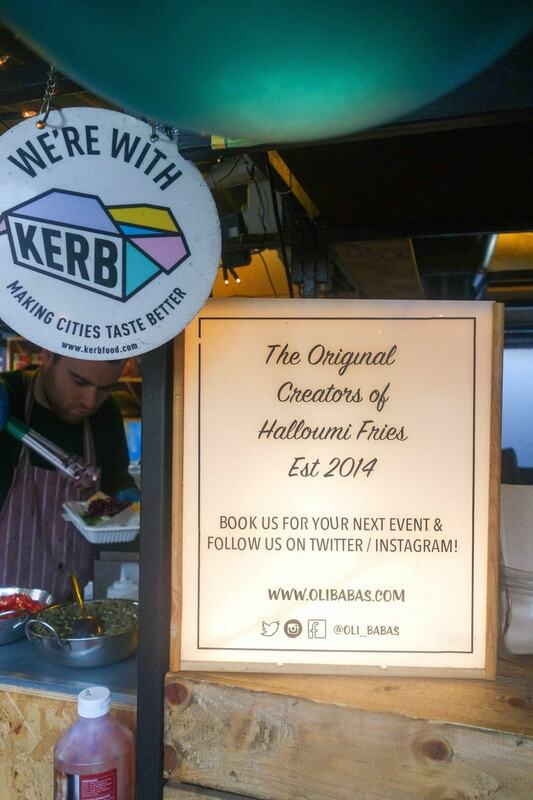 Oli Baba’s are the original creators of halloumi fries. Chips actually made of cheese! 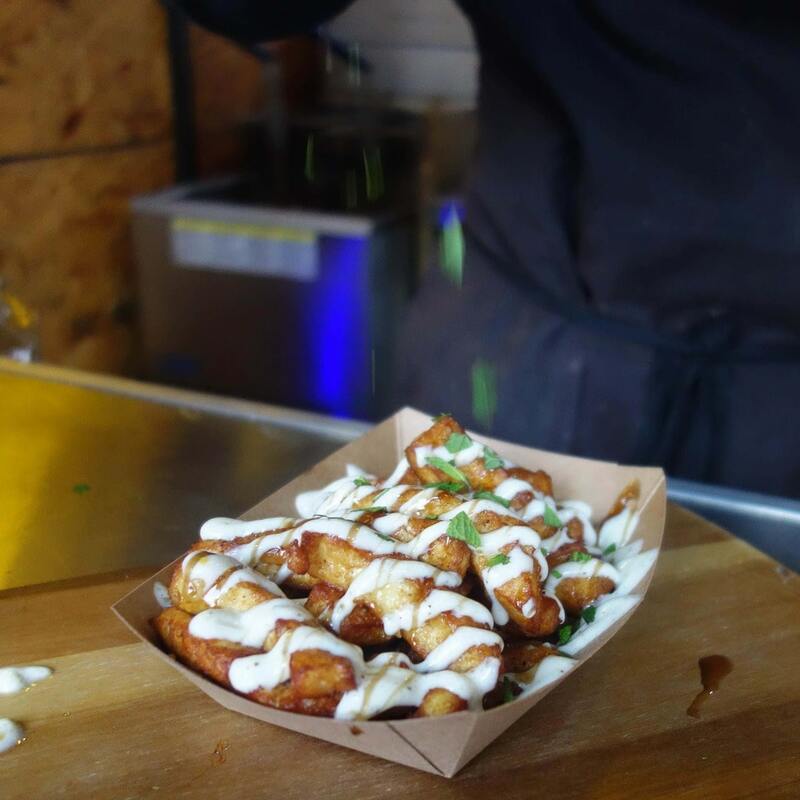 For anyone who hasn’t tried halloumi before, imagine a hard, salty cheese that instead of melting when warm becomes soft on the inside and crispy on the outside. 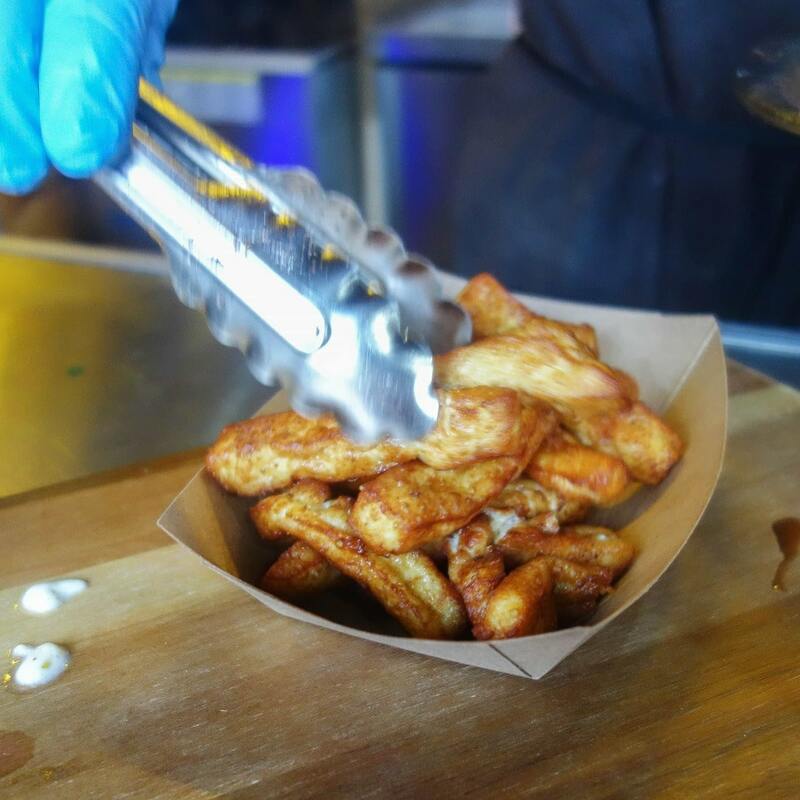 Known as squeaky cheese in some places because of its texture and distinctive squeak when you eat it! 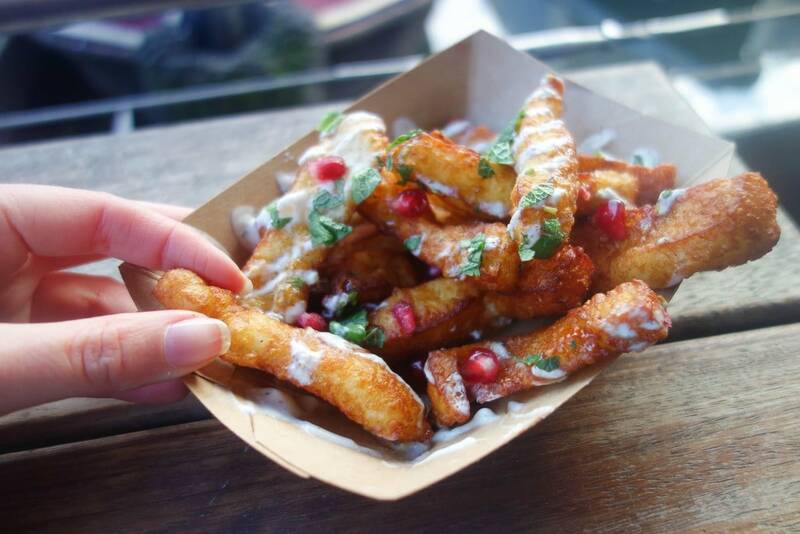 Cover them in za’atar yoghurt…. 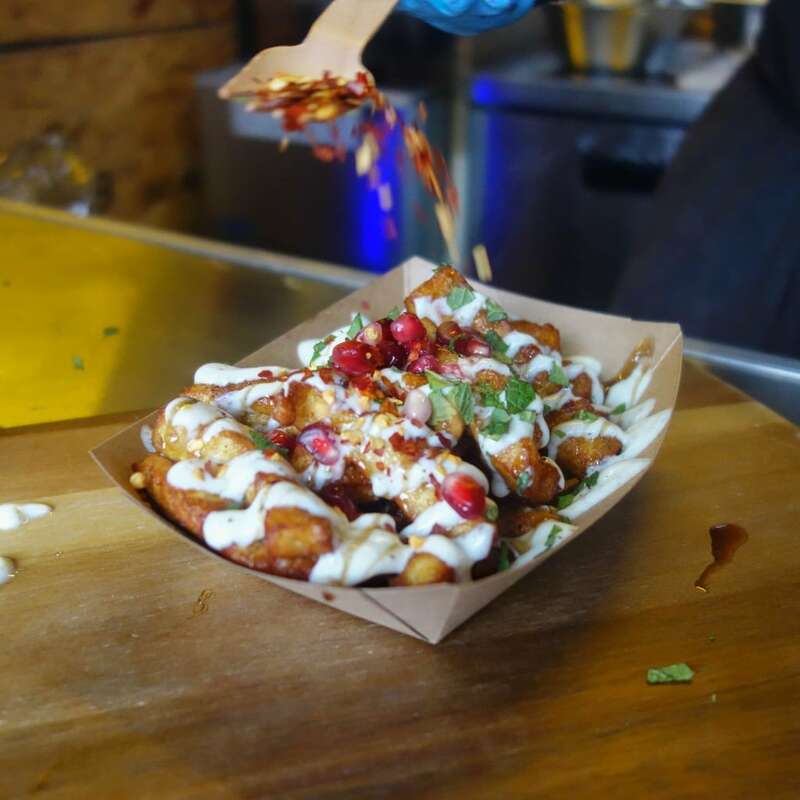 … and finish off with chilli flakes and pomegranate seeds. 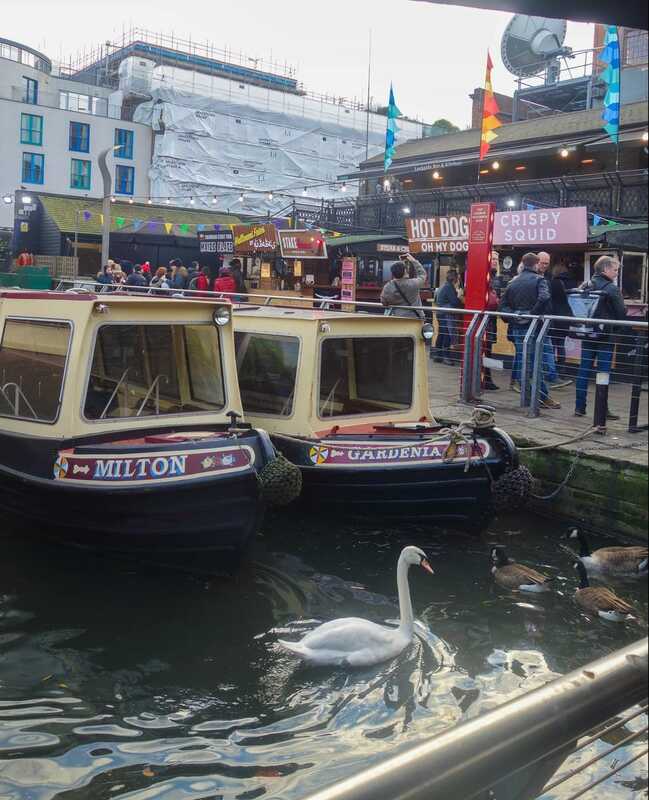 Grab a bench next to the canal, dig in and watch the world go by! 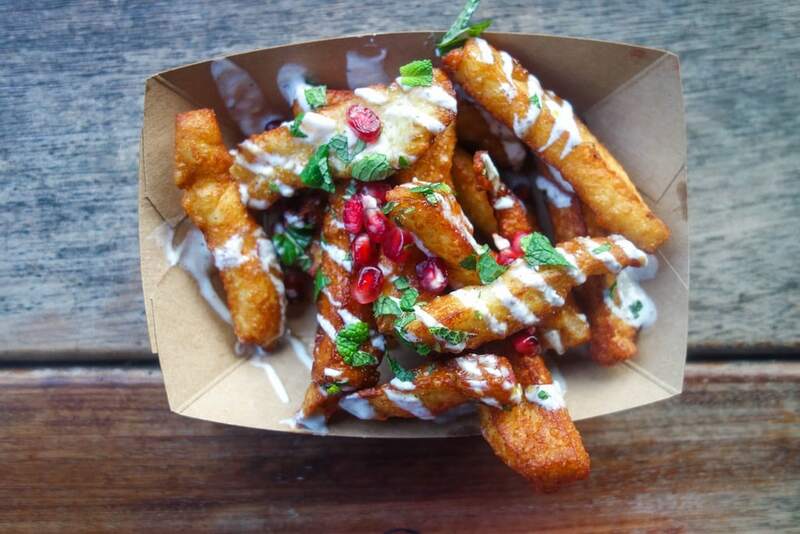 The’re cheesy, crispy and chewy; and if the fries themselves weren’t amazing enough, the yoghurt, syrup and mint on top mean there salty and sweet all at the same time. 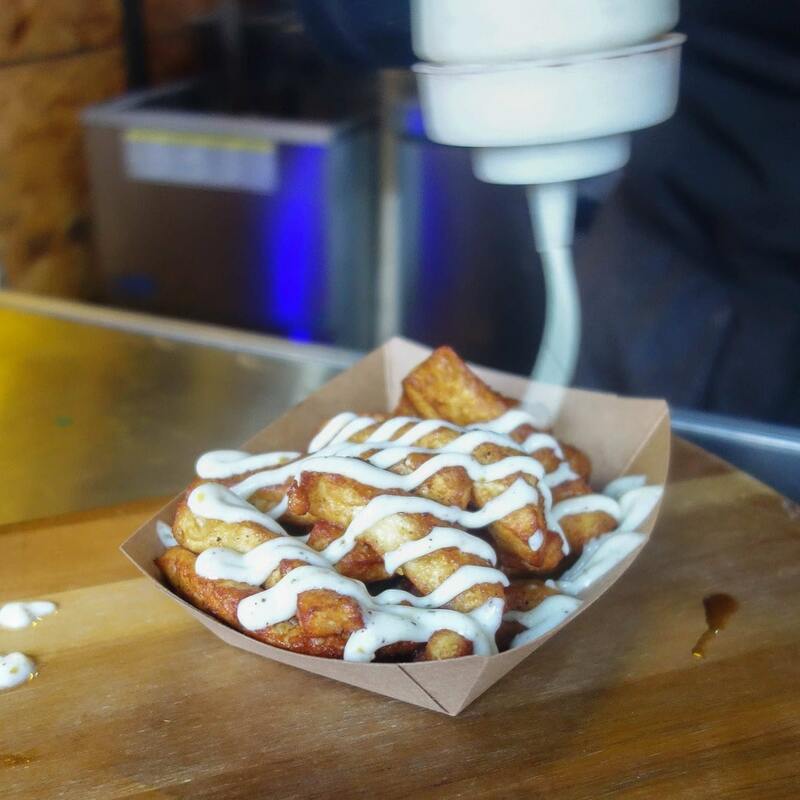 Would even go as far as saying they taste even better than they look … and they look pretty bloody awesome. 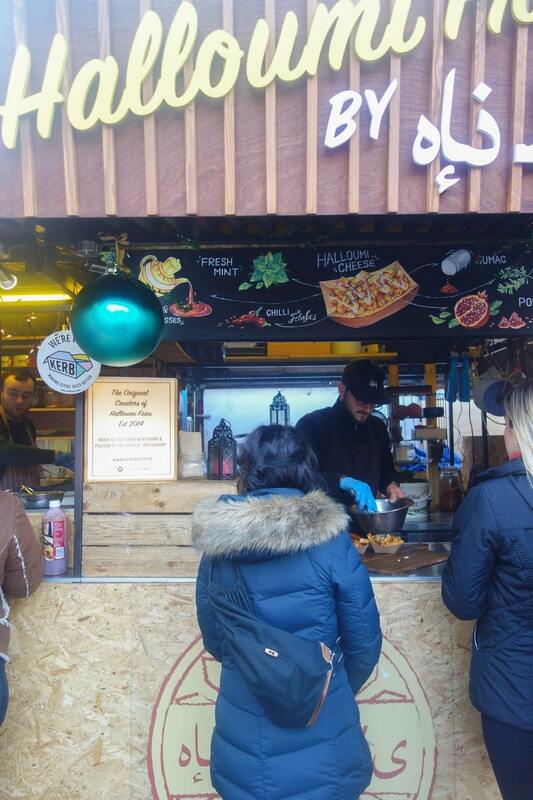 With all the food options in Camden, you will really be spoilt for choice … but Oli Baba’s is a little bit different! Can’t imagine they are many places you could find them or many people that can say have tried them. If your not a cheesy person, this one isn’t for you. Equally, if you’re not into your salty and sweet person this isn’t for you either. Everyone else, and you adventurous lot, give them a try! Definitely, one to tick off the list. 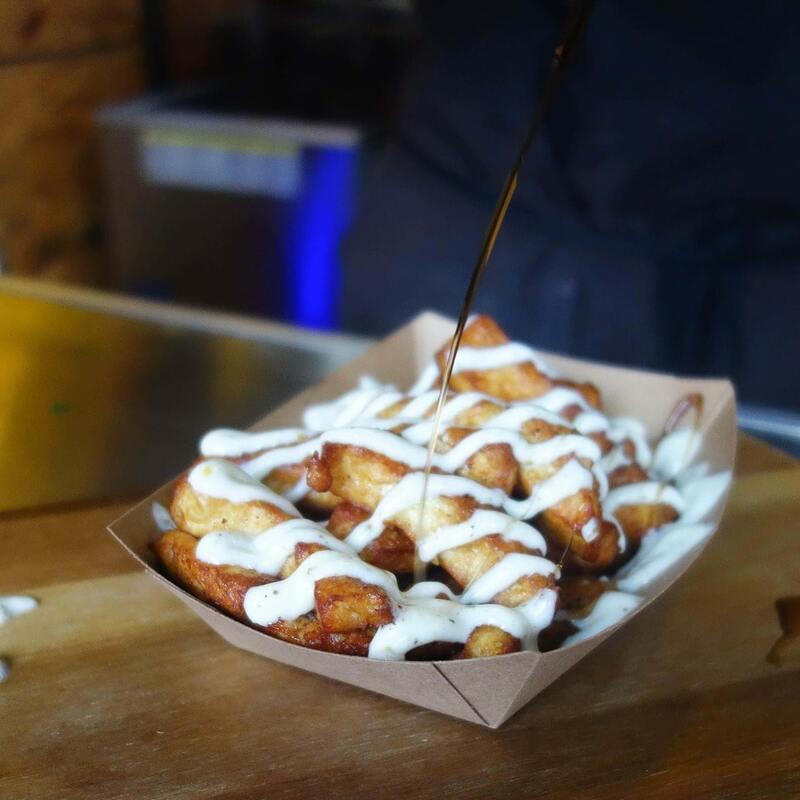 Halloumi fries sound, and look, amazing! 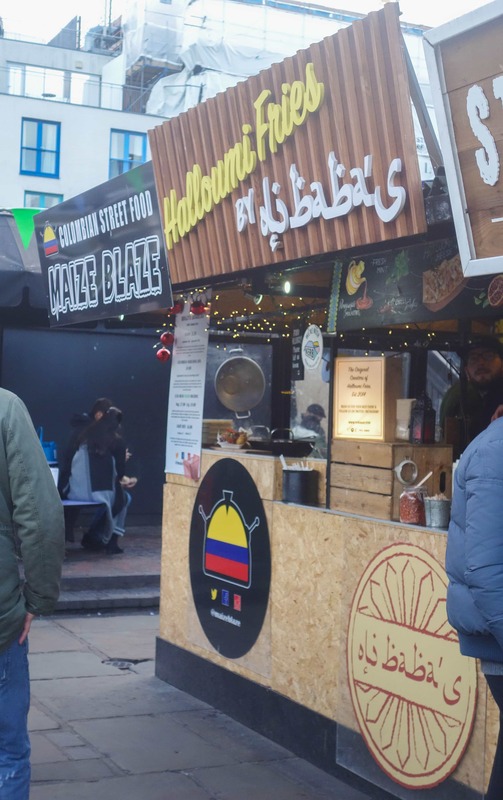 I need to try them, they sound like they’d be right up my street -I love that salty sweet combo. Yum!